The San Juan Islands Scenic Byway includes a marine highway and driving tours on both Orcas and San Juan Islands. For centuries, this was a historic canoe route once traveled by the Coast Salish people. Today, Washington State Ferries (also a designated state scenic byway) ply these waters laden with locals and visitors traveling by car, by bike or on foot. 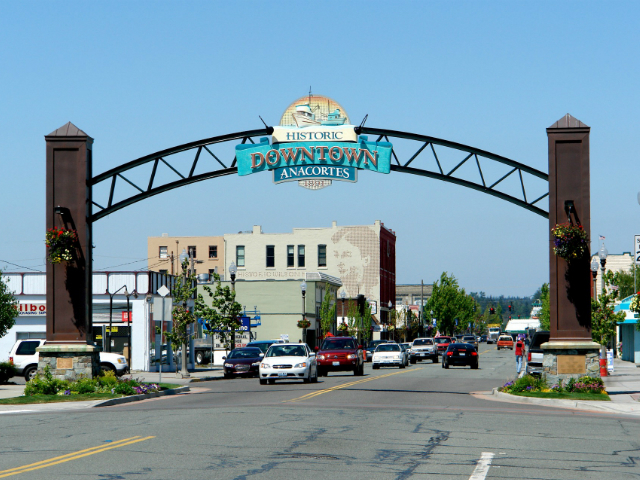 Anacortes is homeport to the San Juan Islands in the Pacific Northwest. Located on Fidalgo Island, it is conveniently situated halfway between Seattle and Vancouver BC and is the destination point for the San Juans and International ferry runs for Washington State. The Orcas Island ferry lands at Orcas Village, a tiny hamlet with a few shops, a post office, a historic hotel and a grocery store. Although generally quiet, "the Landing" as it is known by locals is a meeting place for travelers and commuters. Octavia's Bistro is named after the Orcas Hotel's first owner and renown cook; it is a place where guests can enjoy jazz and a glass of local wine. 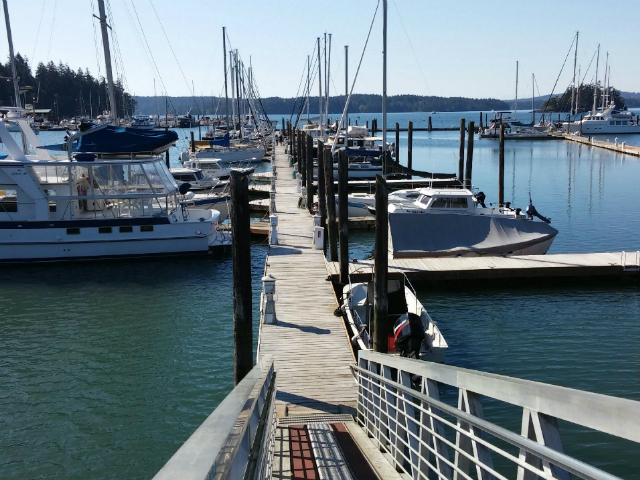 If you like being close to the water, then Deer Harbor Marina is the place to be on Orcas Island. 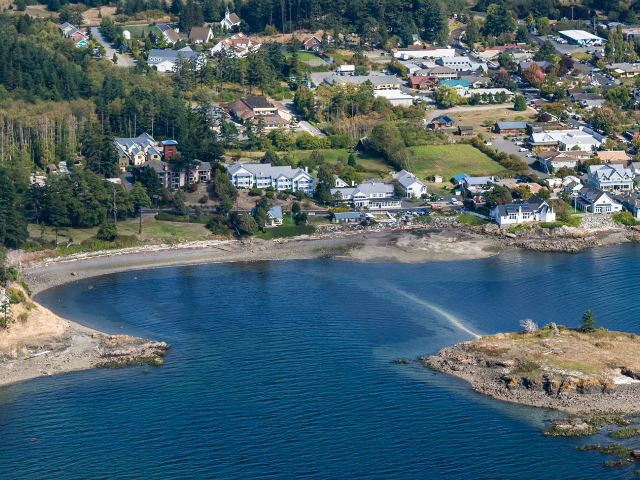 Located on the southwest corner of Orcas Island, commonly known as the "Sunny Side,” we are perfectly located in the heart of the world-famous San Juan Islands. A fifteen-minute drive from the ferry lies the historic village of Eastsound, Orcas Island’s downtown. Nestled above Fishing Bay, this walkable village bustles with life—a visitor’s dream of galleries, boutiques, restaurants, cafes, and a history museum. After spending a day whale watching, or hiking up Mt. Constitution or Turtleback Mountain, you can enjoy happy hour or dinner at a local restaurant, and enjoy a concert or play in the evening. 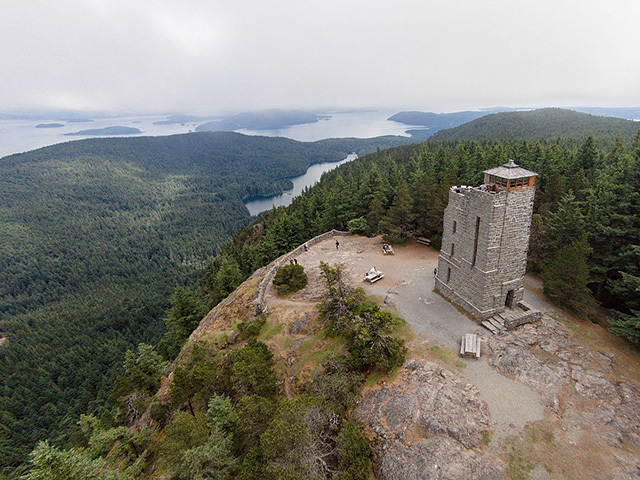 If you want the challenge of a steep hike and the reward of breathtaking views, grab your hiking boots and a packed lunch and head to Mount Constitution in Moran State Park, the highest point in the San Juan Islands—2,409 feet. It’s not a hike to be rushed, however, as there is a lot to appreciate on the way up. Hike from the cool shade of old-growth forest to sunshine and wildflowers in alpine meadows. A visit to Rosario Resort is a must when planning a boating adventure in the San Juan Islands. The Rosario Marina is located on tranquil Cascade Bay halfway up East Sound's eastern shore on Orcas Island. The distant grandeur of the historic Moran Mansion guides boaters to Rosario as they enter East Sound. 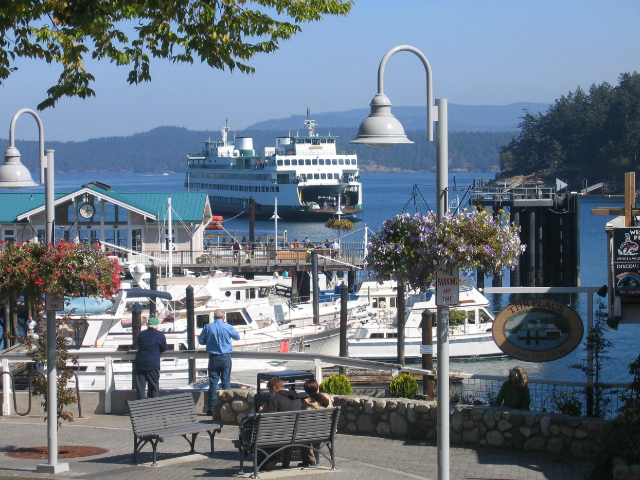 If you want to escape to a slower pace, you’ll be enchanted by Friday Harbor—a charming, historic, walkable seaport just steps from the ferry landing, with small, friendly shops and restaurants, and a refreshing absence of fast-food chains. Whether you stay at the historic Hotel de Haro, visit from your boat in one of the marina’s 377 slips or anchor out, or spend an afternoon exploring the tiny village and its environs, Roche Harbor and its setting will capture your heart. 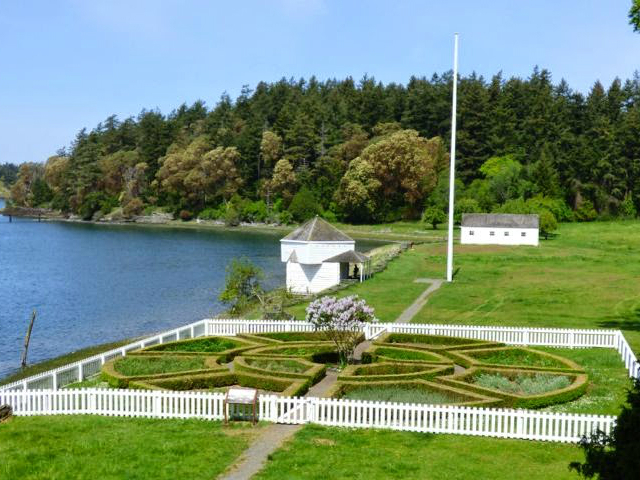 Spend a little time on San Juan Island and you’re almost certain to hear about "The Pig War," which in 1859 led to a 12-year joint British/U.S. occupation of the island while the two nations argued over who owned the San Juans. The Royal Marines lived at English Camp, at the north end of the island, and a few buildings, a formal garden, and a cemetery remain from their time here. 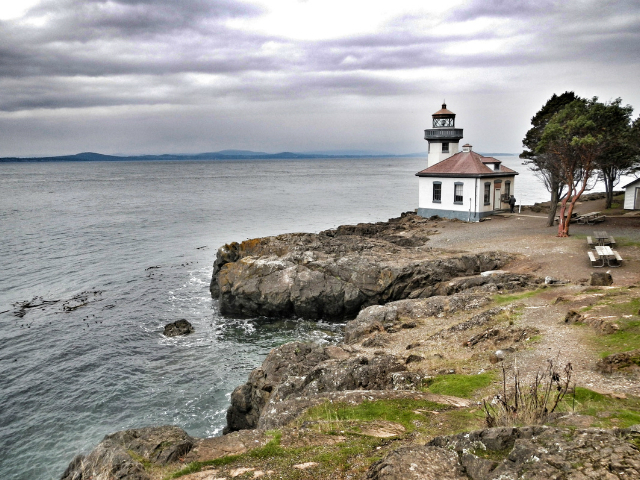 Also known as Whale Watch Park, Lime Kiln Point State Park is a 36-acre day-use park with an iconic lighthouse set on the west side of San Juan Island. The park is considered one of the best places in the world to view whales from land. 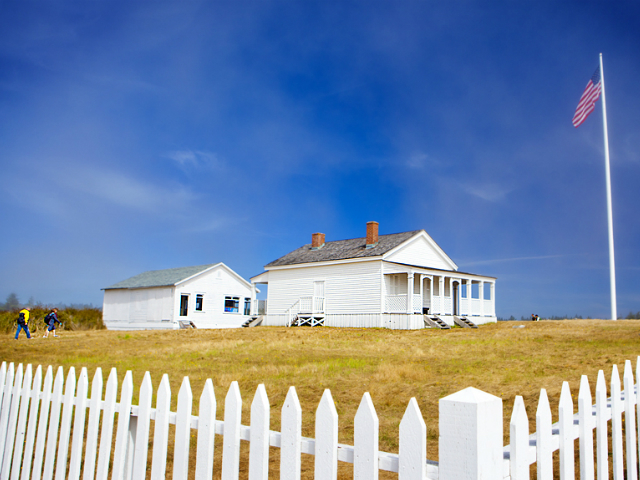 At the south end of the island lie the prairie and forest of American Camp, home to U.S. soldiers during the U.S./British occupation in the mid-1800s. The visitor center offers a good selection of books and guides to island history and wildlife, and ranger-led nature and history walks take place on weekends from June through August.